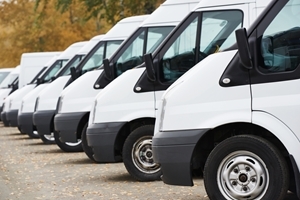 Taking your business to the next level could be as simple as upgrading your fleet of vehicles or adding to your current set of assets. For some businesses, limited cash flow or a lack of financial documentation, does not make this a possibility. However a low doc vehicle loan from AAA Finance may be the answer! From 2014 to 2015, the number of registered light commercial vehicles in Australia grew by 2.9 per cent, according to the Australian Bureau of Statistics. The growth of light rigid trucks was 3.7 per cent, showing that Australians are seeing these vehicles as increasingly useful, whether it is for personal or business use. Whether you are needing van, truck or car finance, a low doc vehicle loan means that you don’t have to wait for a bank to process your funding application. Having access to only limited financial documents is not an issue either as the nature of low doc loans means that you don’t need to supply a busload of documentation to access what your business needs to grow. The Reserve Bank of Australia notes that low doc loans have a lower interest rate premium than normal mortgage loans from a bank. Businesses could benefit greatly from the reduced interest rate, and push for the growth that could be possible with a new fleet or vehicle. Taking advantage of the services that are available to businesses means that growth can occur when you want it to, not when the right funds become available and the market is at its optimal position. Instead of waiting around for extenuating circumstances to align with your business, take control. If a low doc loan for car finance or other commercial needs sounds like the right option for your business, then contact AAA Finance today and see which of its loans would suit you best.